Want to build a single speed without having to buy a dedicated frame? Try the Melvin. The Melvin bolts to the frame where the rear derailleur would normally go and allows the use of a single speed rear wheel on bikes with vertical dropouts. 20 teeth of chain wrap means that chain rings with a maximum difference of twenty teeth can be used up front. Exceeding this limit can over-extend and damage the Melvin. Vertical dropouts hold the rear axle at a fixed distance from the cranks and nine times out of ten this doesn’t put the rear wheel at the right spot for a single speed drivetrain. The result is a chain that is too loose or too tight. The Melvin takes care of the chain tension and lets you run a single speed wheel on almost any frame with a derailleur hanger. 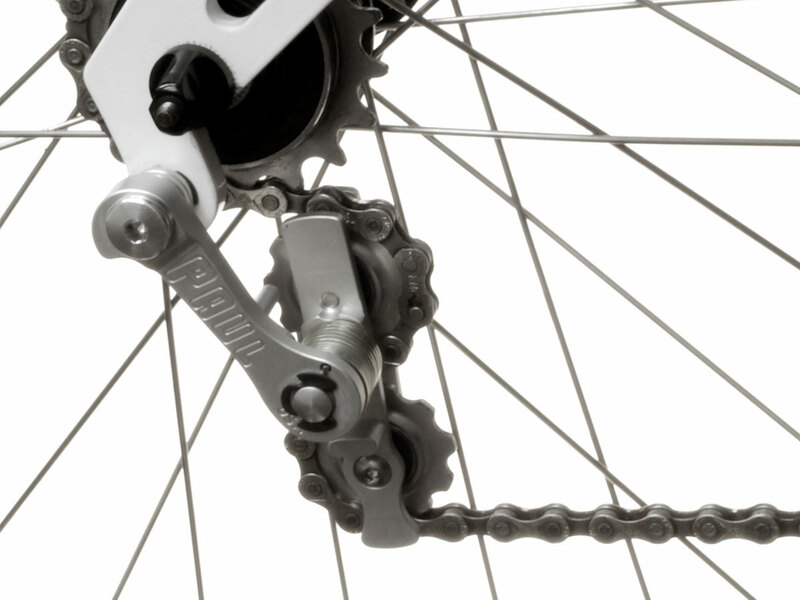 The Melvin uses two pulleys, just like a rear derailleur, which gives it 20 teeth of chain wrap. 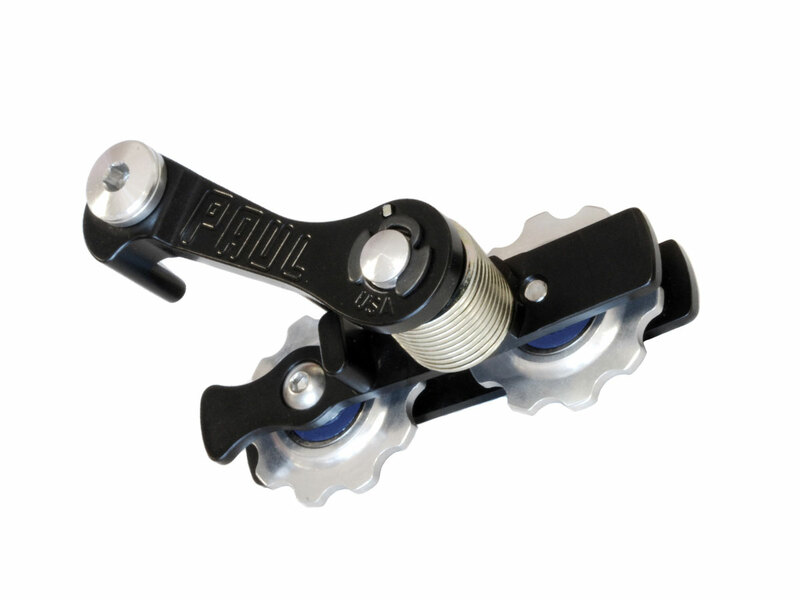 This means that the Melvin will work with multiple front chain rings while maintaining proper chain tension. Of course this is no longer a true single speed, but can come in handy when two or three gears are all you need. Twenty teeth of chain wrap means that chain rings with a maximum difference of twenty teeth can be used up front. The mounting pivot has spacers that can be arranged to adjust the chainline. 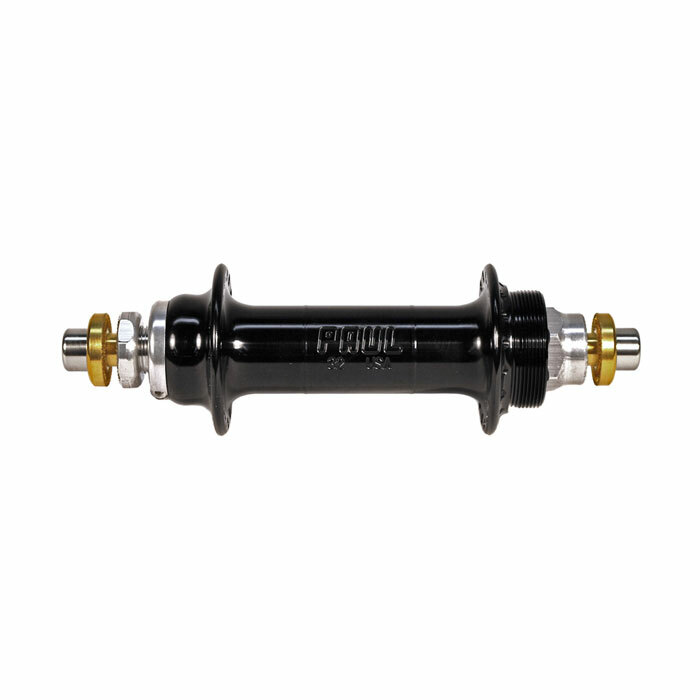 The Melvin works best, of course, with our hubs, but the chainline spacers allow it to work with most other hubs too. 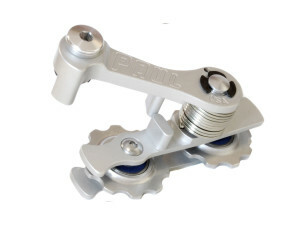 In addition to the pivot spacers, the pulleys have side to side float to quiet slight variances in chainline. 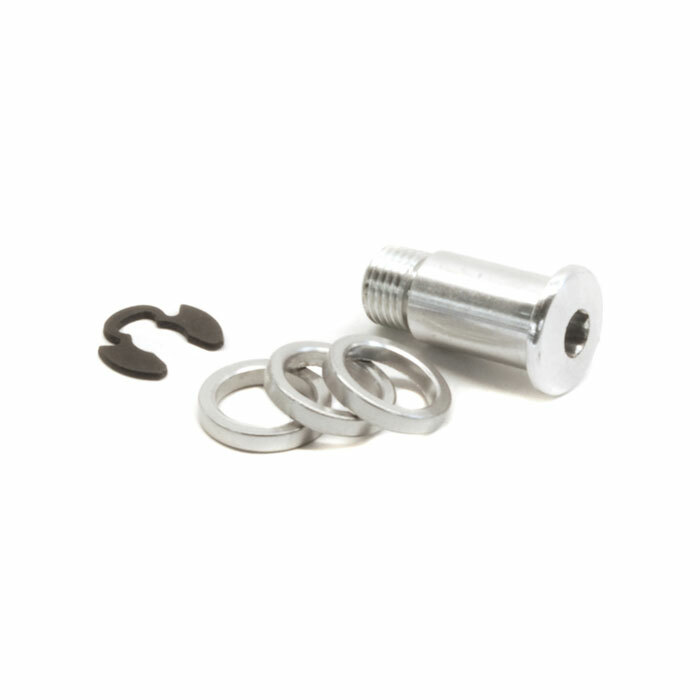 The pulleys are made of extruded and machined aluminum and have sealed bearings for durability. They are 2.25mm thick at the tooth which fits inside most narrow 6 through 9 speed chains, and the pulley cage is wide enough to allow 1/8″ single speed chains as well. Chain tension is optimized when the chain length is cut so that the pulleys are aligned vertically. We make spare parts available to extend the life of you Melvin. Older models with plastic pulleys can be upgraded with the new sealed bearing pulleys.